+1 reason to use Facebook, to be honest. More on that later, if ever. So I’ve been continuing playing Minecraft and created new contraptions and whatever. Today I tried unlocking the mystery of slimes but to no success. Tomorrow we’ll start fixing up the new rehearsal space for Mercalli XII. It will be good! We’ll remove the carpets and whatever useless stuff remains and replace it with something better. We might be able to move in our instruments on Sunday, but not sure yet. Soon we’ll start rehearsing properly again, once Juho’s war ends. I stopped playing Project Reality, but I’ve resumed playing Minecraft, which is easier to handle in a busy lifestyle. Project Reality requires up to four hours of concentrated gaming while Minecraft can be played for 15 mins at a time. 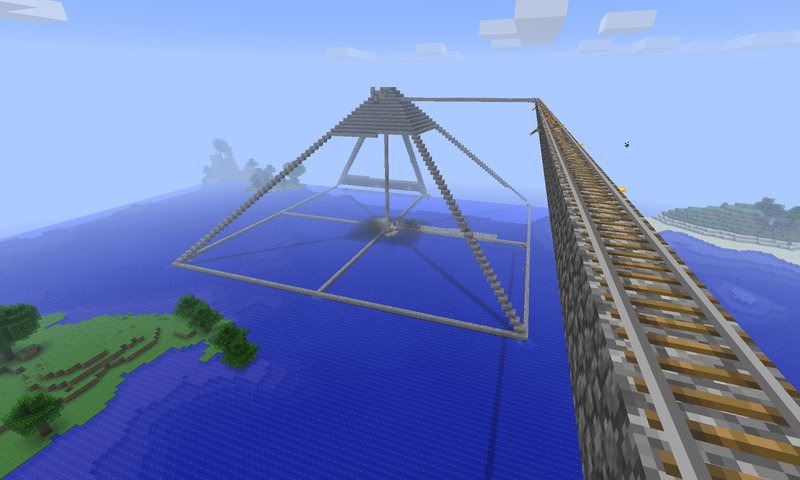 We’ve been building a pyramid with Ari on a friend’s server. It’s not the largest pyramid ever, but we’ve only got so much time to build it before the 1.9 patch will require a complete server reset. 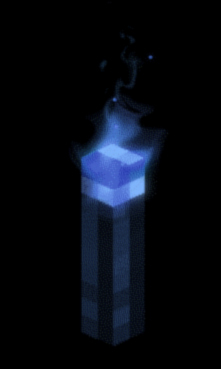 I’m hoping to find some slimes so I can build sticky pistons! Watching Real Time with Bill Maher. Probably the best political talk show I know, since it usually pits people with opposite opinions against each other. I’ve been working on the Mercalli XII website, which is almost ready to be officially launched. We managed to get a new rehearsal space thanks to some luck and Pate seizing the opportunity. This will be a definite improvement on our last rehearsal space, even though it’s just one room away. 😀 No more spilled wine on my Reactor FRFR…. Been battling Kela papers. It’s surprising how much I hate bureaucracy, even though I’m a systematic, organized person. It just feels like such an uphill battle to be filling in papers with information you’ve already filled in several times. Feels like they’re not listening to me in the written form. Why won’t they remember stuff I’ve sent them earlier… Who knows. The song of the past few days has been…. Been getting into some new music lately, one band being Toxic Holocaust. I’ve always liked old school thrash, starting with Metallica, Megadeth, Testament and especially Slayer so Toxic Holocaust is something I “got” fast once I was exposed to it properly. I hate ads in Spotify. I’ve been thinking about getting the premium version, so I could get limitless access to all the good songs, bust most of all to get rid of the damn ads. There’s nothing that ruins your enjoyment of music than being interrupted by some man telling me about some crap. This is particularly annoying when listening to classical music which is usually dynamic and therefore quieter by average, so the ads are really damn loud! T’was a good day. Went to moms with Pate and ate some tasty salad with goat cheesmmm. Ah, what a nice feeling. This is an easy day. I’ll most likely get all my overdue tasks done on top of doing all the tasks that are due today! I missed a deadline for an employment office course, damnit. Might mean I don’t get any benefits for about a month, but I’ll survive, either way. Meanwhile, my job hunt is winding up, although I’m a bit confused regarding what I’m going to do. I’m conflicted by the challenges of this line of work and family life/hobbies/everything else, especially after being reminded of it all by Ari. Seems like the wrong things are always black and white and the things you wish were clear are usually gray in nature. I’ve been playing Minecraft 1.8 and it’s pretty fun again! I’ve got some problems with my account, so I can’t log in with the launcher for some reason. I’ll have to try to fix the problem so I can play online again. At the moment I’m only able to play SSP or via the browser, which is confusing since I’m used to full screen. Had a listen to the new Opeth album while playing Minecraft yesterday and I have to say it’s quite cool! Way jazzier than I expected, but it’s still got Opeth written all over it. Gotta try to get into it properly by giving it a few more listens. Damnit. Another ear infection. Not as bad as the one last year, though, but still annoying. One thing about the ear infections I suffer is that they always seem to come at the worst time. I went to the health clinic at 07:45 and it opened up at 08:00. I waited until 08:30 when they started receiving patients and I got a time for 10:40. Returned home, showered, ate, and I was back at the clinic at about 10:30. The doctor calls me at about 10:50 and she was busy as hell, answering the phone every 3 minutes. It must be a pain to be a doctor in the public health system, since you don’t have a chance of taking care of your patient properly. I basically told her what prescriptions I was expecting her to give me and then she gave me them. Might aswell just cut the middle man and have me get the medicine straight from the pharmacy in that case. 😛 Well, hopefully I’ll be fine in a day or two. We got a birthday party for Sofia coming up with lots of attendees. Should be fun. 😀 At least we’ll get lots of nice pictures, I bet. And cake. Hopefully there will be cake. I’ll be attending my brother’s graduation ceremony on Monday. I still don’t have a black suit or a white shirt, both of which were mandatory. Also gotta pick up Blood Meridian from the library, but that might also happen on Monday. It’ll be a busy day. If all goes according to plan we’ll start recording vocals for Smothered and LCD on Tuesday. It’ll most likely take 2-4 nights of recording vocals until we get everything done. Started playing some Minecraft with Ari. Built myself a small castle and a little wheat farm. 😀 It’s a bit of a waste of time, but sometimes it’s exactly the kind of waste I need. Sofia turned one yesterday. Her actual birthday party will be on the weekend, though, and there’s much to prepare. I’m hoping there’s good cake. So I recorded Smothered’s guitars today, which took about 3 hours. Less than I expected. I like the result, although there are a few things that are still a bit iffy and might have to be removed or changed in the mixing phase. But at least I got it done, after having rescheduled it over and over again for two weeks. It’s hard getting things done that require many hours of uninterrupted concentration and silence.. I also started watching a show called Louie, made by Louis C.K. I’ve watched half of the first season and it’s really hilarious and somehow very authentic. Something I can relate to in many ways. I reserved Blood Meridian at the local library, another book by Cormac McCarthy, this time set in a time period I’ve become quite fond of lately: the American wild west of the 1800s. Gonna have to fetch it and start reading. Not much else going on.. Except for new records at running: 24km in one week, which is pretty fantastic.